The Italian general election will be held next week.Currently, the lead is held by Pier Luigi Bersani, head of Italy’s left democratic party. However, that lead is narrow, and we can’t rule out what the Financial Times said would be a “disaster“: a Berlusconi win. 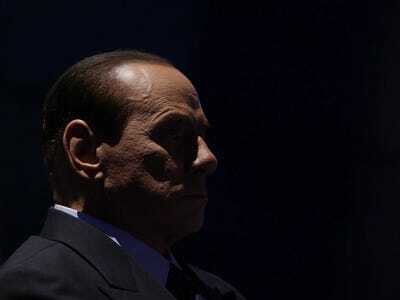 COULD MR BERLUSCONI REALLY WIN? As the Italian elections (24-25 February) approach, concern that something could go wrong is mounting. Italian regulation forbids the publication of opinion polls during the two weeks that precede an election. The final polls released on 8 February, still indicated a Berlusconi victory as unlikely, but given the prior trends in opinion polls and still undecided voters, such a scenario cannot be completely excluded. Furthermore, while the opinion polls point to a majority in the lower house for Pier Bersani’s centre-left coalition, the outcome for the Senate is far less certain. At the heart of the election is the ability to pursue structural reform. This is important not just to secure Italy’s long-term growth potential, but is also seen as being part of the ‚conditionality‛ in the event that Italy would need support from the ESM/OMT. Mr. Berlusconi has made no secret of his dislike for the current policy of austerity and structural reform. Mr. Bersani, on the other hand, has signalled that he will continue Mario Monti’s policy of austerity and reform (reassuring markets and Italy’s euro area partners), but at the same time securing greater social fairness in policies (reassuring the more left leaning fractions of his Common Good alliance and trade unions). Striking the right balance between these two objectives will not be easy should Mr. Bersani become Italy’s new prime minister; be it with a full majority in both houses or in a coalition with Mario Monti. MARKET ISSUES: Removing the tail risk of a Berlusconi win could bring some short-term relief. How durable this would prove will then depend on the ability of the new government formed to agree and advance on a structural reform programme. As outlined above, the task will not be an easy one. Business Insider Executive Editor Joe Weisenthal will be reporting on the elections from Italy.